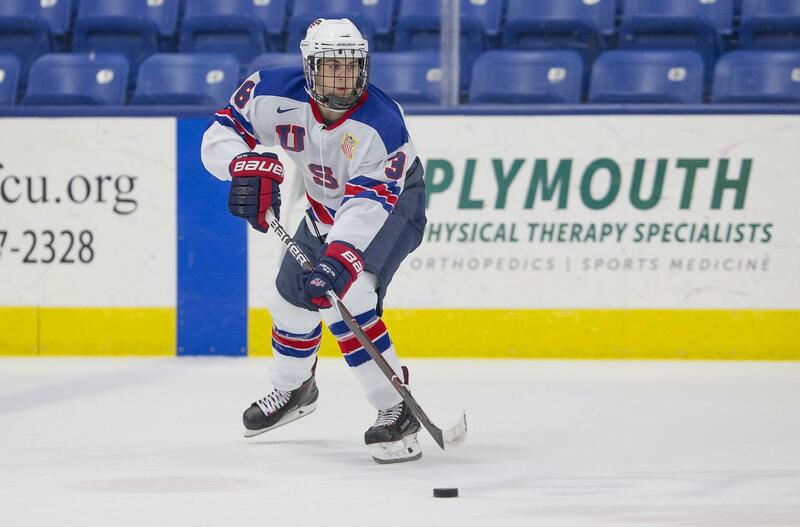 Since he was 10 years old, Domenick Fensore had one dream and that was to suit up for USA Hockey’s National Team Development Program. He had learned about the program from former NTDP standout Steven Santini (Mahopac, N.Y.) who played for the program from 2011-13. The Thornwood, New York, native feels that way especially when it comes to playing internationally. Fensore and his Under-18 teammates are coming off their first international tournament — the Five Nations in the Czech Republic where they finished with a perfect 4-0 record. He credits some simple things for the team’s success in international competition. “We are strong physically and have good goaltending, defense and forwards. We are all playing for the same prize and we want to have success. Every guy is buying into the system and we want to beat the other countries,” said Fensore. Fensore has enjoyed working with his new associate head coach Dan Hinote this season. Hinote has brought in a wealth of experience including winning a Stanley Cup championship with the Colorado Avalanche in 2001. “He came right in and it felt as if he had always been there,” said Fensore, a 5-foot-7, 153-pound blueliner. “He really works with the defensemen to tell us the things to do and what we need to do to get better. He is a great guy. 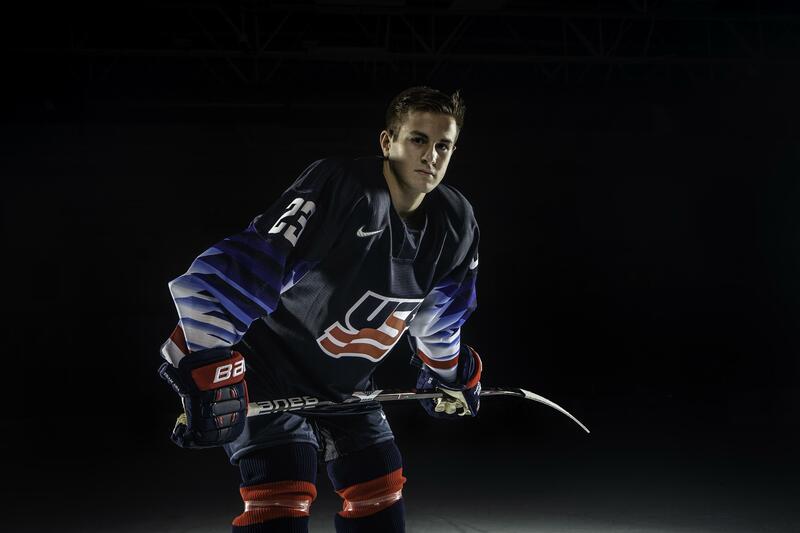 He credits the NTDP for helping in the development of his game. He has already put on 10 pounds since his Under-17 season in part due to the program’s spring training. This is very important when it comes to playing college competition. Unfortunately, due to injury, Fensore was unable to make the trip out East when the U18s played Boston University, his future college program. He already has a sneak peek of what to expect in college games prior to his first year in Boston. Once he set foot on BU’s campus, he knew that he had found the right fit. It also will help that he will attend BU with three of his current teammates — Case McCarthy, Alex Vlasic and Trevor Zegras — which should help him with the transition to college. It is a privilege and an honor to wear the red, white and blue. It has been a dream come true to represent the country. “It will be cool to be there and have the guys that I have played with the last two years with me. I think it will be helpful in the transition especially since I already know some of the guys,” said Fensore. The U18 season can be a grind and Fensore understands the importance of the little things that must be done in order to have success. It will be key, especially down the stretch for him and his teammates as they will play both college and United States Hockey League opponents. “We know that we have to take care of our bodies,” he stated. “We have to eat right, get our rest and keep hydrated. These are all very important for us. This is part of what makes playing for his country so special. He takes to heart some advice from head coach John Wroblewski.